A suite of tools designed to simplify your processes, automate manual tasks and improve service efficiency so you can focus on what matters. 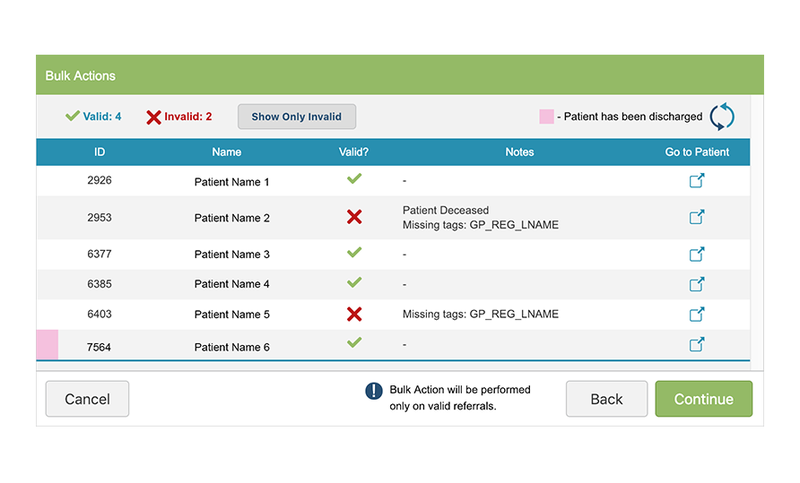 Bulk actions is a time-saving feature that allows you to apply one action to multiple patients – such as updating patient records, sending text messages or generating letters. Prospective new patients can refer themselves for treatment at any time via a short, secure form on your organisation’s website, without the need to speak with a referring health professional. iaptus will automatically create and populate a new patient record that you or a colleague may accept (or reject), before contacting the patient to set up an initial appointment. 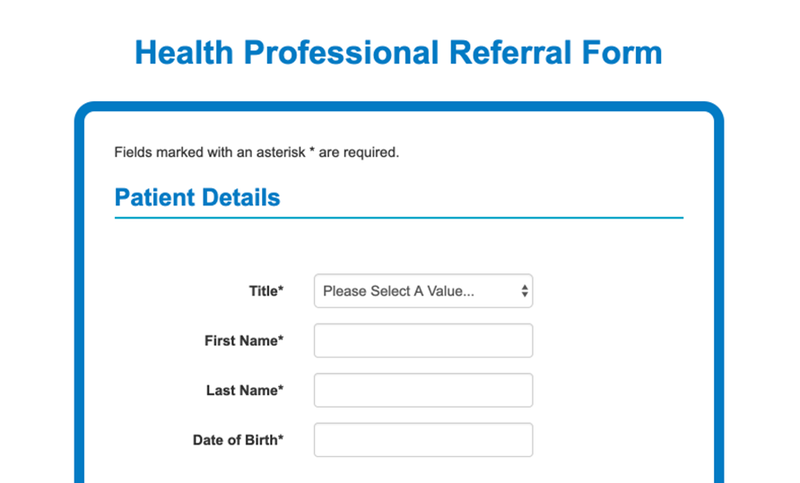 Other health professionals can refer patients to your organisation at any time, via a short, secure form on your website. iaptus will automatically create and populate a new patient record which you or a colleague may then accept (or reject), before contacting the patient to set up an initial appointment. 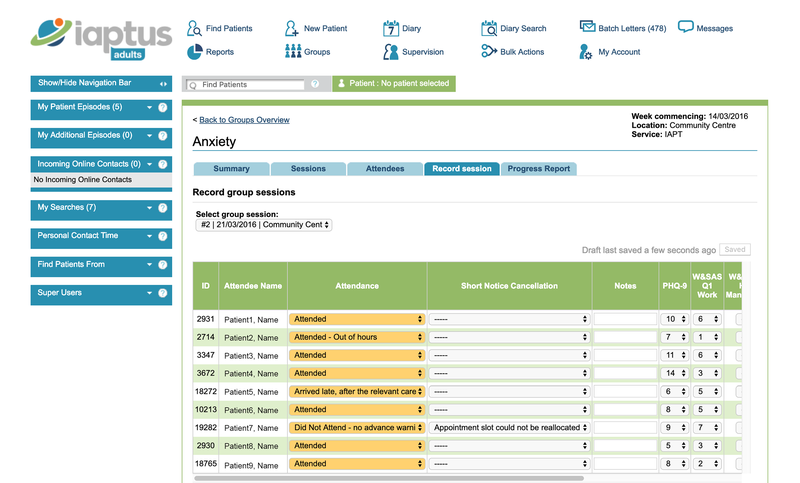 There are over 800 questionnaires available in iaptus that can be completed within the system by patients or clinicians, to suit your organisation’s requirements. 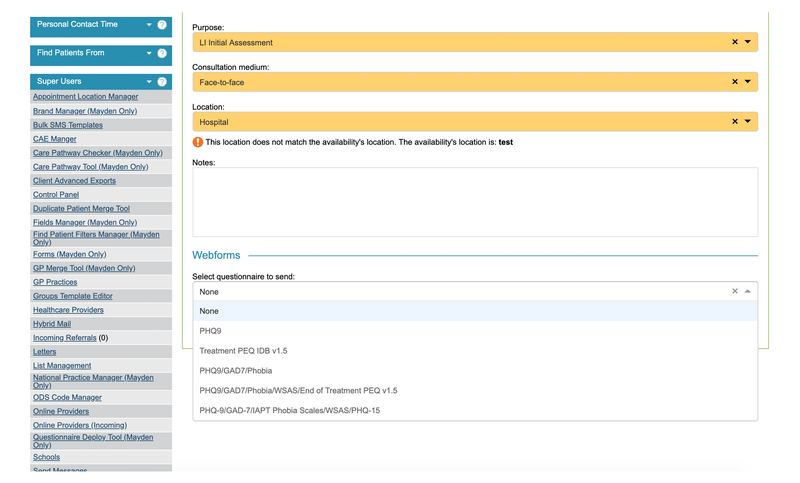 Patients can complete their questionnaires in session on your tablet, with the rest of iaptus safely locked away. The information is then encrypted, and the data is saved in the iaptus patient record, ready to be reviewed. Alternatively, in the days prior to their appointment a secure link can be automatically emailed to patients, and they can complete questionnaires via webform from home. This feature not only saves time during the session, but also allows therapists to understand their client’s state of mind even before their appointment, meaning that actual therapy time can be more productive. In addition, it helps patients to engage more fully with their care. This feature saves hours of collective clinical time that can be used more effectively, either to allow more dialogue time during appointments or to fit in more appointments each day. Every service works differently. 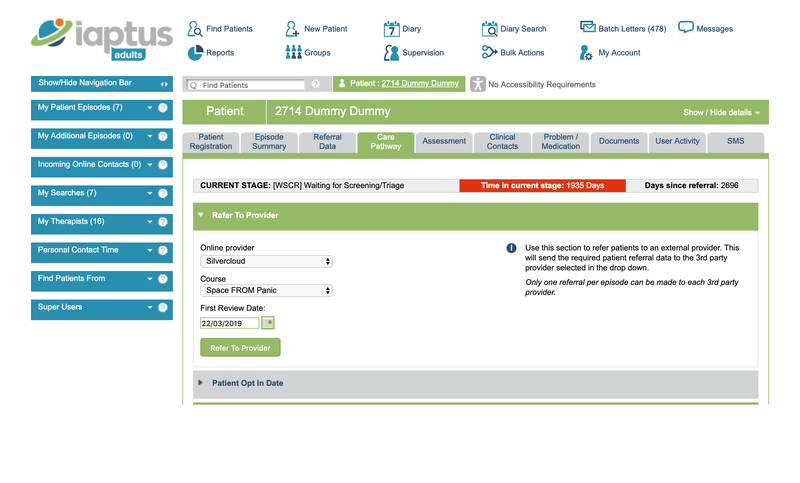 So we tailor the iaptus patient management system to meet your needs. iaptus works to give clinicians and managers a clear view of a patient’s treatment stage, guiding staff to take patients through the stepped care process and ensuring that treatment remains consistent. The system has built in flexibility, so you can be confident that the system will grow to meet your changing needs. This feature allows you to complete clinical notes and outcome measures for the group on one screen, saving valuable time. 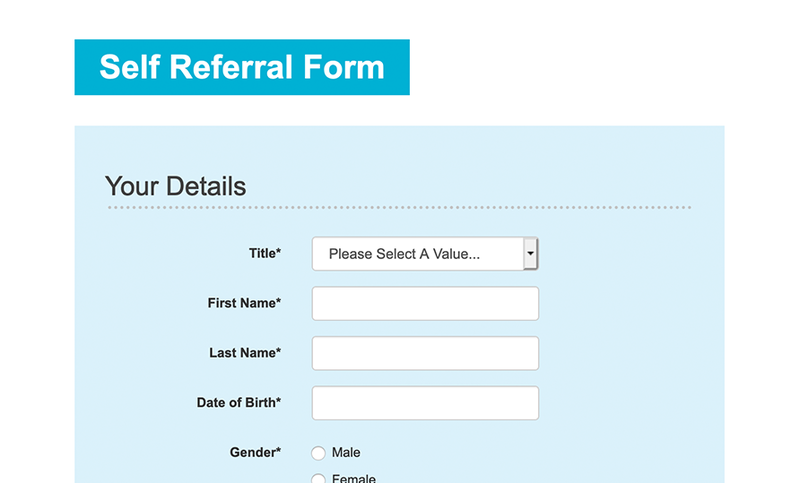 Refer patients for online treatment and receive progress notes and outcomes data directly back to the patient record. The addition of online mental health treatment to your organisation’s offerings can reduce waiting lists and treatment costs, while enhancing patient choice and even improving outcomes. Prism enables your organisation to treat more patients more quickly by offering a simple, protected and secure method to connect patients to the benefits of online therapy. 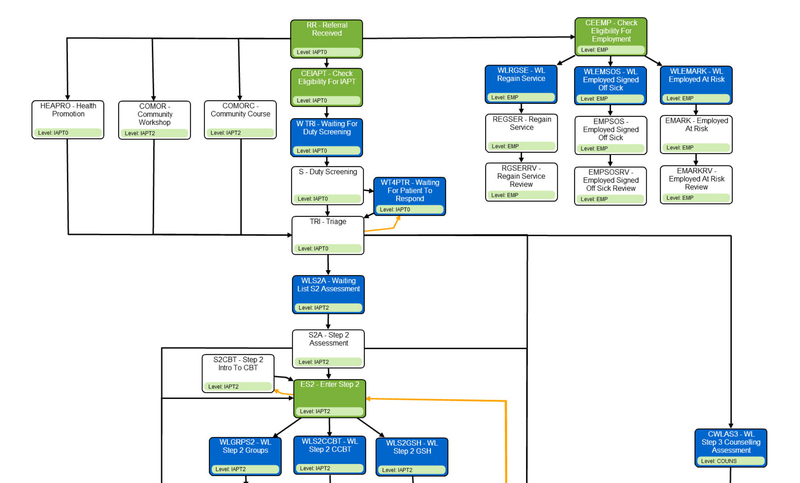 This is a mechanism for interoperability that allows you both to refer patients for treatment via online therapy platforms and to monitor their progress and outcomes directly within iaptus. Send letters electronically to your patient’s GP via Docman, MIG or MESH. iaptus can seamlessly send electronic letters that are easily incorporated into GP system workflows, ensuring that patient records are kept up to date and that the patient’s GP remains informed about the treatment your organisation is providing. Referred patient registration takes as little as 90 seconds to complete. 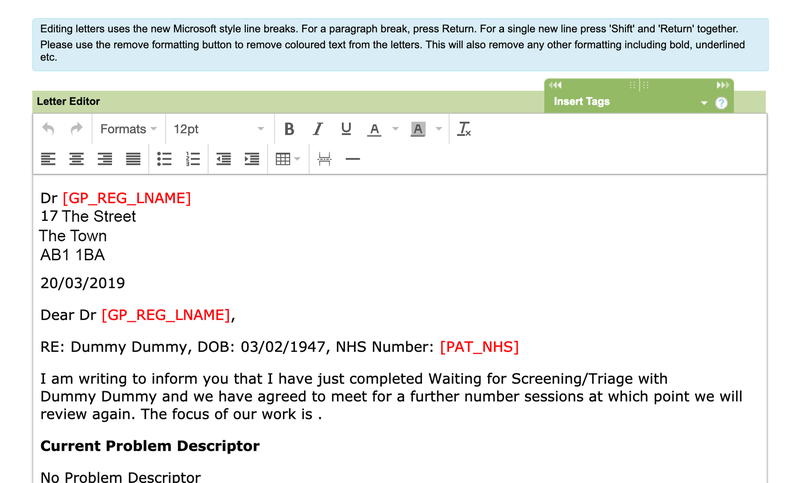 For NHS services and NHS contracted organisations, this time-saving feature matches a patient’s basic details in iaptus with their validated NHS record on Spine, so you don’t need to waste time searching. You don’t need smart cards, you don’t need to learn any other software packages, and you can do it all quickly and simply from within iaptus. Get started today for fast, accurate, complete patient records. Postcode Lookup is a tool that aids accurate and reliable postcode searches. It reduces inaccuracies from manual entry and avoids the chances of having duplicate data enter your database. In iaptus, we can provide this feature free to most services and practices. We believe in interoperability, and that your patient management software should enable you to work and share data across systems. We believe in interoperability, and that your patient management system should enable you to work and share data across partner organisations. You can extend the use of iaptus to other organisations you work with that also require routine data capture – such as debt counsellors, substance misuse, forced migration trauma, primary care liaison and employment services. Adding care pathways within iaptus for partner organisations allows you work efficiently to coordinate care, and enables your non-IAPT partners to benefit from a high level of support for their data capture.